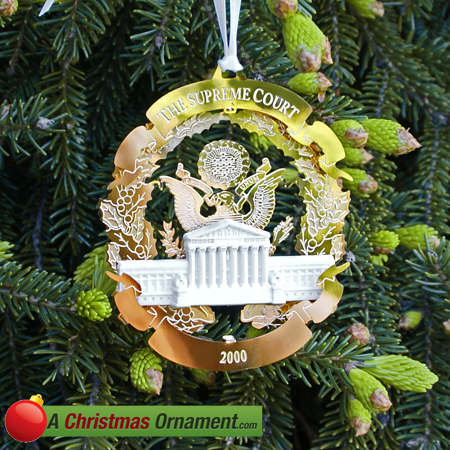 Christmas Ornaments Made in USA - 2000 Supreme Court Ornament - A Christmas Ornament Co. The A Christmas Ornament Collection presents 2000 Supreme Court Ornament. This three-dimensional ornament has a miniature, beautifully crafted, cast resin Supreme Court building. Gleaming in 24kt. gold, the Seal of the Supreme Court is the background of this unique piece.